Kennedal Sky Pointer, once sold by Sky Publishing. 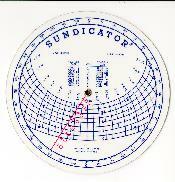 A 296K scan of the Sundicator. THOMAS DICKINSON SPENCER '34, of Pennington, N.J., died March 20, 1995. He was a retired commander in the navy who served as assistant naval attaché in Lisbon, Rio de Janeiro, and Paris and naval attache in Greece. Later he became an insurance broker and estate planner. He also toured with the musical Oklahoma in the role of Jud, and was joint holder of a patent for the Sundicator, a navigational instrument modeled after the ancient astrolabe. 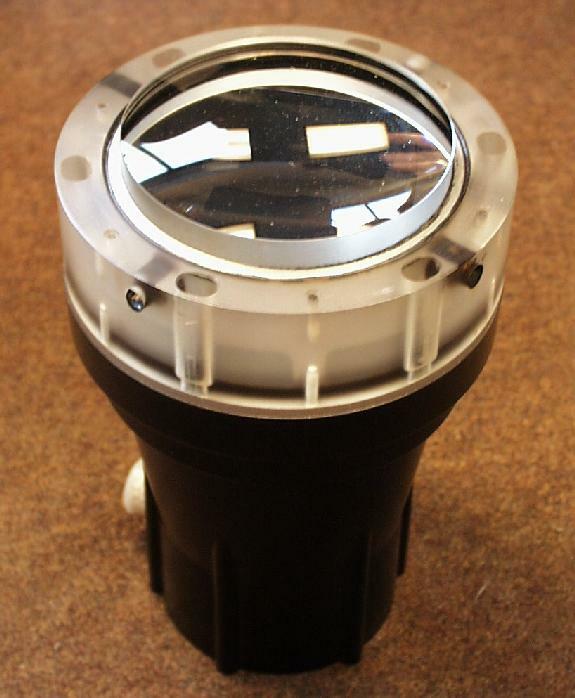 A 50K image of a sun tracking device. 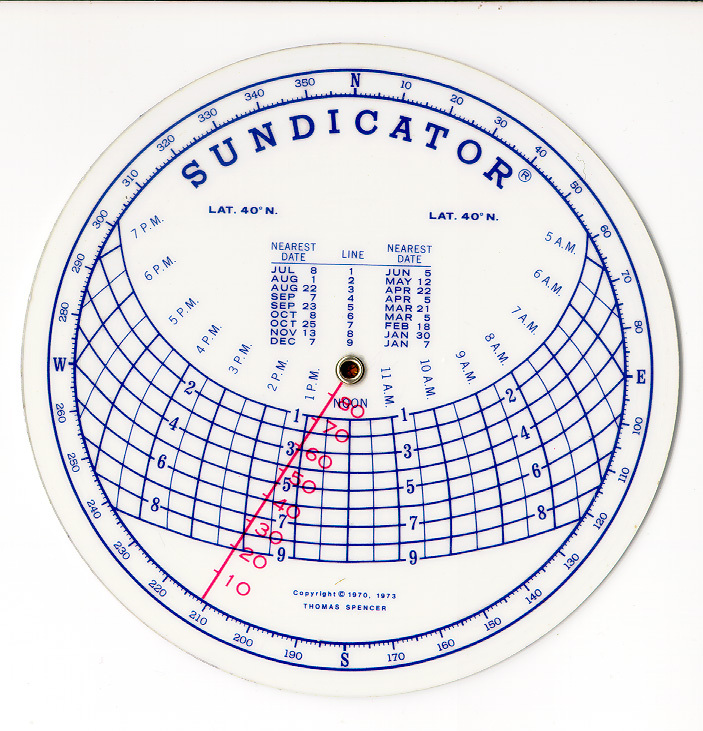 If you look into the device from the bottom, there is a circular scale calibrated in altitude and azimuth. The sun creates a small bright dot on the scale.